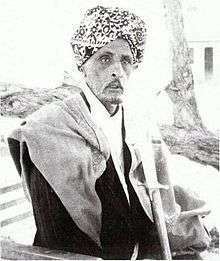 Mohamoud Ali Shire, the 26th Suldaan (Sultan) of the Warsangali Sultanate. This is a list of Somali aristocratic and court titles that were historically used by the Somali people's various sultanates, kingdoms and empires. Also included are the honorifics reserved for Islamic notables as well as traditional leaders and officials within the Somali customary law (xeer), in addition to the nobiliary particles set aside for distinguished individuals. Below is a list of the royal court titles historically retained by the Somali monarchies and aristocracies. Suldaan Ali Yusuf Kenadid of the Sultanate of Hobyo. Suldaan: From the Arabic for Sultan or English "Chief". Very common title for rulers in the pre-colonial and colonial periods; used throughout the Somali territories. Famous Sultans include Fakr ad-Din, the first Sultan of the Sultanate of Mogadishu, who built the 13th-century Fakr ad-Din Mosque; Mohamoud Ali Shire, the 26th Sultan of the Warsangali Sultanate; Mahmud IV, who reigned in the early 19th century as one of the first Sultans of the Majeerteen Sultanate; Yusuf Ali Kenadid, founder of the Sultanate of Hobyo; and Ibrahim Adeer, founder of the Geledi Sultanate. The title was also employed by the leaders of the influential Ajuran Sultanate, the House of Garen. Ughaz: Authentic Somali term for "Sultan". Used throughout the northern and western Somali territories; particularly in the Somali region of Ethiopia and the far northwestern area of the Somali penunsila, but also in central Somalia and southern Somalia.The Gadabuursi in particular is the only clan with a longstanding tradition of Sultan. The Gadabursi gave their sultan the title of "Ughaz". Boqor: Literally denotes King. However, in practice, it is the primus inter pares or "King of Kings". The title is etymologically derived from one of the Afro-Asiatic Somali language terms for "belt", in recognition of the official's unifying role within society. According to Kobishchanow (1987), Boqor is also related to the style Paqar, which was employed by rulers in the early Nile Valley state of Meroe. Various Somali honorifics and designations have Boqor as their root. 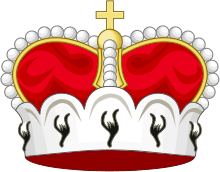 The latter include Boqortooyo, signifying "monarchy", "kingdom" or "empire"; Boqornimo, meaning "royalty", "nobility" or "dignitaries"; and Boqortinnimo, denoting "kingship". Historically, the title was mainly used by rulers in the northeastern Puntland region of Somalia. 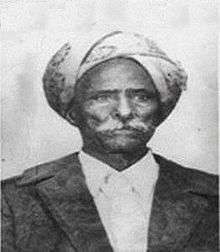 The most prominent Boqor in recent times was Osman Mahamuud, who governed the Majeerteen Sultanate (Majeerteenia) during its 19th-century heyday. Also used among the Gadabuursi as the law of the King and the 100 men' (heerka boqorka iyo boqolka nin). Gerad/Garad: Often employed interchangeably with "Suldaan" to denote a Sultan. Etymologically signifies "wisdom", "mind" or "understanding". According to Basset (1952), the title corresponds with the honorific Al-Jaraad, which was used during the Middle Ages by Muslim governors in the Islamic parts of Ethiopia. Gerad was historically employed throughout northern Somalia. Notable Gerads include Gerad Dhidhin, the founder of the Warsangali Sultanate, and Gerad Lado, who built the sturdy wall around the ancient northern port city of Zeila. Imam: Denotes the Head of State. Style was used especially by rulers in the Sultanate of Adal and the Ajuran Sultanate. Notable Imams include Ahmad ibn Ibrahim al-Ghazi, also known as Ahmed Gurey or Gran (both meaning "the Left Handed"), who led a military campaign during the Middle Ages known as the Conquest of Abyssinia (Futuh al-Habash). Emir: Used by leaders in the Adal Sultanate. Also employed by commanders in the Ajuran Sultanate's armed forces and navy. Prominent Emirs include Nur ibn Mujahid, the Emir of Harar who built the great wall (Jugol) around the city. Amir: Prince. Honorific set aside for the hereditary son of the King or Sultan. Notable Princes include Ali Yusuf Kenadid, the son and heir of Sultan Yusuf Ali Kenadid of the Sultanate of Hobyo. Ina Boqor: Alternate court style for the Prince. Sheikh Abadir Umar Ar-Rida, patron saint in the Harar sultanate. Wazir: Minister and/or tax and revenue collector. Title used in the northern Majeerteen Sultanate and Sultanate of Hobyo, as well as the southern Ajuran Sultanate. Wazirs were also quite common at the royal court of the medieval Sultanate of Mogadishu. When the Moroccan traveller Ibn Battuta visited Mogadishu in 1331, he indicated that the city was ruled by a Somali Sultan originally from the northern Barbara region, who had a retinue of wazirs, legal experts, commanders, royal eunuchs, and other officials at his service. Other notable wazirs include the maternal grandfather of the Somali General Abdullahi Ahmed Irro, who was part of the Sultanate of Hobyo's aristocratic contingent in the southern town of Kismayo. Boqortiishe: Viceroy. Style reserved for court officials governing territory on behalf of the King. Primarily used in the northern Majeerteen Sultanate and Sultanate of Hobyo. Wakiil-Boqor: Alternate court title designating a Viceroy. Na'ib/Naïb: Deputy or representative of the Sultan. Duties included the administration of tribute, which was collected by court soldiers. Style was used in the Ajuran Sultanate, Majeerteen Sultanate and Sultanate of Hobyo. Qadi: Denotes a Chief Judge. Especially common title in northern Somalia, but also used in the southern Ajuran Sultanate. 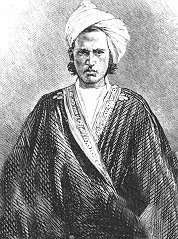 Prominent Qadis include Abd al Aziz al-Amawi, an influential 19th-century diplomat, historian, poet, jurist and scholar who was appointed Qadi of the Kilwa Sultanate at the age of 18 by Muscat and Oman's Sultan Said bin Sultan; and the father of Sheikh Abdurahman Sheikh Nuur, inventor of the Borama script for the Somali language. Boqorad: Literally translates as "Queen". Title mainly reserved for the queen consort of the King (Boqor). Amirad: Princess. Honorific set aside for the hereditary daughter of the King or Sultan. Ina Boqor: Alternate court style for the Princess. Sheikh Ali Ayanle Samatar, a prominent Islamic leader. Sheikh: Honorific for senior Muslim clerics (wadaad). Often abbreviated to "Sh". Famous Sheikhs include Abdirahman bin Isma'il al-Jabarti, an early Muslim leader in northern Somalia; Abadir Umar Ar-Rida, the patron saint of Harar; Abd al-Rahman al-Jabarti, Sheikh of the riwaq in Cairo who recorded the Napoleonic invasion of Egypt; Abd Al-Rahman bin Ahmad al-Zayla'i, scholar who played a crucial role in the spread of the Qadiriyya movement in Somalia and East Africa; Shaykh Sufi, 19th-century scholar, poet, reformist and astrologist who authored Shadjarat al-Yakim ("The Tree of Certitude"); Abdallah al-Qutbi, polemicist, theologian and philosopher best known for his five-part Al-Majmu'at al-mubaraka ("The Blessed Collection"); and Muhammad Al-Sumaalee, teacher in the Masjid al-Haram in Mecca who influenced many of the prominent Islamic scholars of today. Sayyid: Title of high honour meaning "Lord" or "Master". Denotes males accepted as descendants of the Islamic prophet Muhammad through his grandsons, Hasan ibn Ali and Hussein ibn Ali, sons of the prophet's daughter Fatima Zahra and his son-in-law Ali ibn Abi Talib. Used by leaders in the Dervish State; notably by Mohammed Abdullah Hassan ("Mad Mullah"). Sharif (pl. Ashraaf): Historically used to distinguish descendants of Hassan 'Ali Abuu Taalib (Hasan ibn Ali). Often reserved for early Islamic leaders such as Sharif Yusuf Barkhadle (popularly known as Aw Barkhadle or the "Blessed Father"), a man described as "the most outstanding saint in northern Somalia". Haji: Honorific reserved for distinguished individuals who have performed the hajj, or pilgrimage to the holy city of Mecca. Below is a list of the titles traditionally employed by leaders and officials within the Somali customary law or xeer. Islan: Clan chief. Title evolved after the fragmentation in the 18th century of the great Harti confederation that dominated the northeastern Horn region since at least the 14th century. A general process of decentralization ensued, with new leaders known as Islaan assuming at the local level some of the power that was previously solely commanded by the Sultan of Majeerteenia, the titular head of the entire confederation. Although they nominally asserted independence from the sultanate, Islaan's mainly wielded religious rather than political authority. Malakh: Signifies "War Leader". Historically used mainly by the Rahanweyn clan that today forms one of the largest constituencies in southern Somalia, in addition to a few sympatric clans. Usually assigned to the Herabow sub-lineage, from which two male constituents were selected to manage the group's military affairs. Akil: From the Arabic for "wise man". A common title for male elders, who are the traditional clan chiefs. Used in the north, particularly in the Somaliland region of Somalia. Oday (pl. Odayal): Literally "elder". The most common title for advisors to the clan head or judges in xeer hearings. 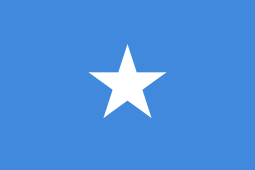 Used throughout the Somali territories. Heer begti or Heer boggeyal: Jurists or legal experts in xeer. Garhajiyal: Attorneys in xeer cases. Murkhatiyal: Witnesses in official xeer proceedings. Waranle: Police officers to enforce the customary law. Aw: Nobiliary particle meaning "honorable", "venerable", or simply "Sir". Reserved for learned Islamic clerics, and used throughout the Somali territories. During his research in the ancient town of Amud, the historian G.W.B. Huntingford noticed that whenever an old site had the prefix Aw in its name (such as the ruins of Aw Bare and Aw Bube), it denoted the final resting place of a local saint. Similarly, the ancient island of Aw Garweyne on the southeastern Benadir littoral was named for the late Sheikh 'Ismaan, whose tomb is found there. Surveys by A.T. Curle in 1934 on several of these important ruined cities recovered various artefacts, such as pottery and coins, which point to a medieval period of activity at the tail end of the Sultanate of Adal's reign. Northern Somalia in general is home to numerous such archaeological sites, with similar edifices found at Haylan, Qa’ableh, Macajilayn, Booco, Qombo'ul, El Ayo, Heis, Botiala, Salweyn, Mudun, Abasa, Maduna and Damo, among other areas. ↑ Lewis, I. M. (1961-01-01). A Pastoral Democracy: A Study of Pastoralism and Politics Among the Northern Somali of the Horn of Africa. LIT Verlag Münster. p. 204. ISBN 9783825830847. ↑ Westermann, Diedrich; Smith, Edwin William; Forde, Cyril Daryll (2007-01-01). Africa. Oxford University Press. p. 230. ↑ Orwin, Martin (1990). Aspects of Somali phonology. University of London. p. 55. ↑ Claessen, H. J. M. (1987). Early State Dynamics, Volume 2 of Studies in Human Society. Brill Archive. p. 121. ISBN 9004081011. 1 2 Maxamed, Maxamed Cabdi (1987). Lexique somali-français. s.n. p. 27. ↑ R. David Paul Zorc, Abdullahi A. Issa (1990). Somali Textbook. Dunwoody Press. p. 551. ISBN 0931745489. ↑ Lewis, I. M. (1961-01-01). A Pastoral Democracy: A Study of Pastoralism and Politics Among the Northern Somali of the Horn of Africa. LIT Verlag Münster. p. 207. ISBN 9783825830847. ↑ "Warsangeli Sultanate - Official website". ECOTERRA Intl. Retrieved 11 May 2013. ↑ Pankhurst, Richard (1982). History of Ethiopian towns from the Middle Ages to the early nineteenth century. Steiner. p. 63. ISBN 3515032045. 1 2 3 4 Hashi, Awil Ali (1993). Essential English-Somali Dictionary. Fiqi Press Ltd. p. 318. ISBN 0969768508. ↑ Hashi, Awil Ali (1993). Essential English-Somali Dictionary. Fiqi Press Ltd. p. 442. ISBN 0969768508. ↑ Axmed Faarax Cali, Francesco Antinucci, ed. (1986). Poesia orale somala: storia di una nazione. Ministero degli Affari Esteri, Dipartimento per la Cooperazione allo Sviluppo, Comitato Tecnico Linguistico per l'Universita Nazionale Somala. ↑ Kraska, Iwona (1992). "From verb to clitic and nominal suffix: The Somali -e,-o nouns". Studies in the Linguistic Sciences. University of Illinois at Urbana-Champaign. Dept. of Linguistics. 22: 97. Retrieved 20 August 2013. ↑ "Scholars Biographies - 15th Century - Shaykh Muhammad ibn 'Abdullaah as-Sumaalee". Fatwa-Online. Retrieved 26 August 2012. ↑ Uhlig, Siegbert (2007). Encyclopaedia Aethiopica: He-N, Volume 3. Otto Harrassowitz Verlag. p. 1045. ISBN 344705607X. ↑ Diiriye, Anwar Maxamed (2006). Literature of Somali onomastics & proverbs with comparison of foreign sayings. Gobaad Communications & Press. p. 59. ISBN 0972661514. ↑ Adam, Hussein Mohamed; Richard Ford (1997). Mending rips in the sky: options for Somali communities in the 21st century. Red Sea Press. p. 148. ISBN 1-56902-073-6. 1 2 3 4 5 6 "Back to Somali roots". Hiiraan.com. Retrieved 2009-12-20. ↑ WSP Somali Programme (2001). Rebuilding Somalia: issues and possibilities for Puntland. HAAN Associates. pp. 69 & 84. ISBN 1874209049. ↑ Reese, Scott Steven (1996). Patricians of the Benaadir: Islamic learning, commerce and Somali urban identity in the nineteenth century. University of Pennsylvania. p. 179. ↑ Bader, Christian (2000). Mythes et légendes de la Corne de l'Afrique. Karthala. p. 263. ISBN 2845860692. Cassanelli, Lee V. (1982). The shaping of Somali society: reconstructing the history of a pastoral people, 1600-1900. University of Pennsylvania Press. ISBN 0812278321. David D. Laitin (1977). Politics, Language, and Thought: The Somali Experience. University of Chicago Press. ISBN 978-0-226-46791-7. David D. Laitin, Said Sheikh Samatar (1987). Somalia: Nation in Search of a State. Westview Pr. ISBN 0865315558. Lewis, I.M. (1999). A Pastoral Democracy: A Study of Pastoralism and Politics Among the Northern Somali of the Horn of Africa. James Currey Publishers. pp. 203–204. ISBN 0852552807. Lewis, I.M. (1998). Saints and Somalis: Popular Islam in a Clan-based Society. The Red Sea Press. ISBN 978-1-56902-103-3. Luling, Virginia (2002). Somali Sultanate: the Geledi city-state over 150 years. Transaction Publishers. ISBN 1874209987.